With a unique combination of high durability, scratch resistance, slip resistance, fire resistance, fade resistance and exceptionally low maintenance, single slab 3/4″ thick porcelain stoneware pavers offer an outstanding paving solution for both commercial and residential applications. Unlike traditional cement based paving slabs or natural stone tiles, these versatile, load bearing pavers are extremely dense and non-porous, so they won’t stain, absorb water or suffer freeze/thaw cracking. 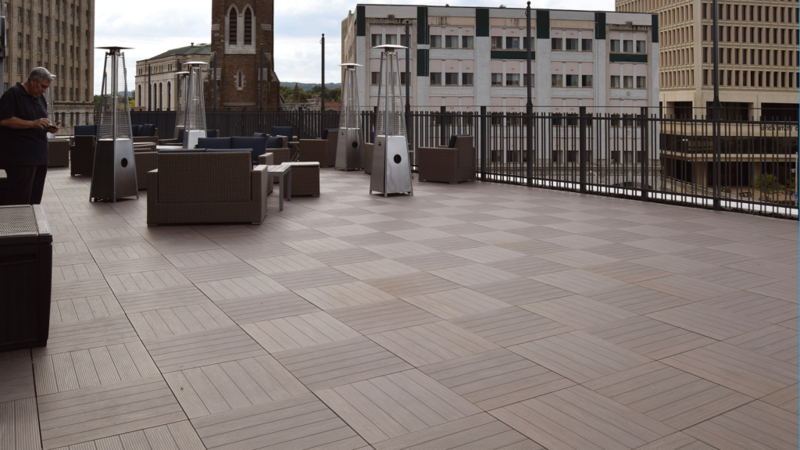 Our porcelain pavers are specifically engineered to meet the high load bearing and hard wearing demands of large commercial rooftop decks and elevated deck and plaza projects, subject to heavy pedestrian traffic. But they are equally suitable as patio pavers for residential applications including resurfacing existing concrete patios, terraces, balconies and roof decks. For more detailed information on installation options for roof deck pavers, download our Porcelain Installation Instructions. Why are porcelain pavers a better paving option? With a unique combination of excellent scratch resistance, frost resistance, slip resistance, fire resistance, fade resistance and very low maintenance, porcelain pavers offer an outstanding alternative to more traditional paving products including concrete pavers, stone pavers and wood decking. From residential balconies, patios and terraces to elevated rooftop decks and terraces, commercial plazas and municipal landscaping projects, porcelain pavers offer more options, more colors, more style. Unlike other paving materials including concrete, natural stone and wood, the non-porous surface and body of porcelain pavers means that liquids, oils or chemical spills can’t penetrate, so can be simply wiped or washed off. Porcelain pavers are even resistant to weak acids and bases. Porcelain is an exceptionally dense and hard material which resists scratching and marking by most objects so can be used in areas subject to high foot traffic and where tables and chairs will be used such as outdoor restaurants and bars. With a textured surface and ultra-low porosity that encourages quick draining and drying, porcelain pavers easily meet most slip resistant requirements for both home use or public spaces. Colored pigments are effectively baked into the pavers at a temperature of over 1200°C, becoming part of the overall composition, so porcelain pavers do not suffer from fading due to the sun. There’s no need to apply sealers or protective coatings to porcelain pavers or set up ongoing maintenance programs. Just a quick wash with water from time to time to remove debris and organic matter (grass, soil, leaves etc.) is all that’s normally required to keep them in top condition. 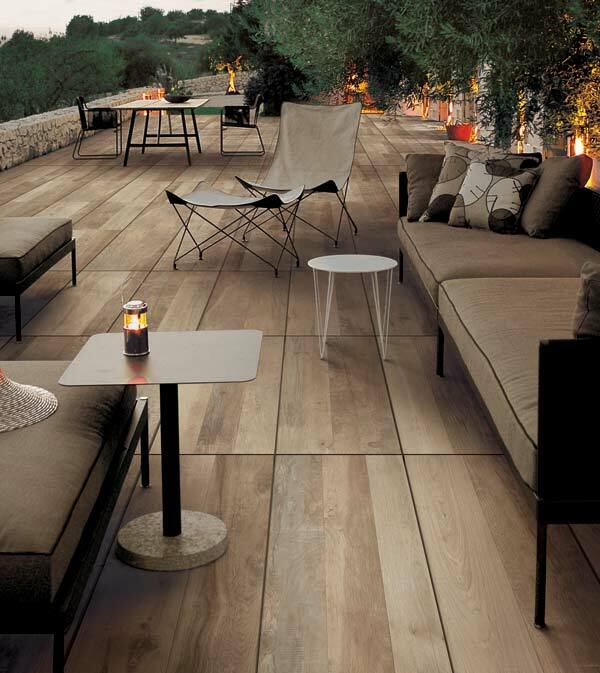 Unlike wood tiles, porcelain tiles are completely fireproof so provide an ideal paving solution, especially for roof decks paving in locations where strict fire regulations apply. Due to modern manufacturing techniques, porcelain pavers can be produced in colors and textures making them virtually indistinguishable from natural stone, typically also with superior strength for equal thickness plus freedom from staining and freeze/thaw cracking. 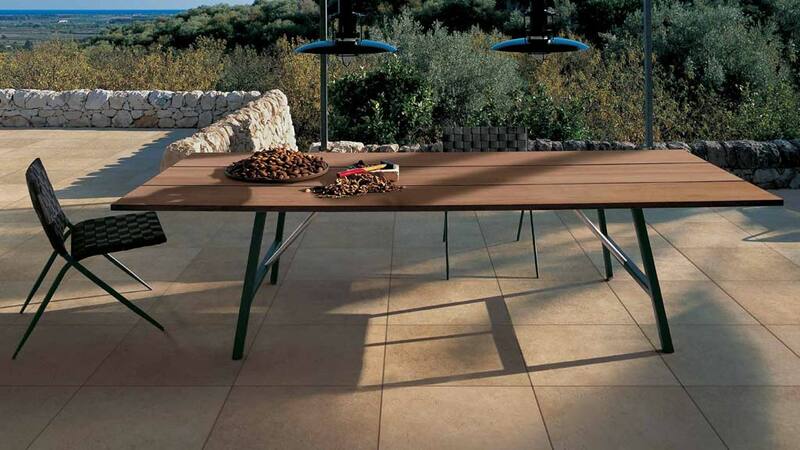 Porcelain pavers are much tougher, denser and stronger than standard ceramic tiles so can be used on adjustable height pedestals supported on each corner only for exterior raised flooring and rooftop decks. Much more cost effective than grating or grid support structures. Porcelain pavers are lighter than both concrete and natural stone such as granite, making them easier to transport and install than more traditional patio paver products. Most pavers are available in 24″ x 24″ (nom.) size and are 3/4″ thick. Some pavers are also available in 48″ x 24″, 48″ x 16″ and 36” x 18” as indicated on our colors page. 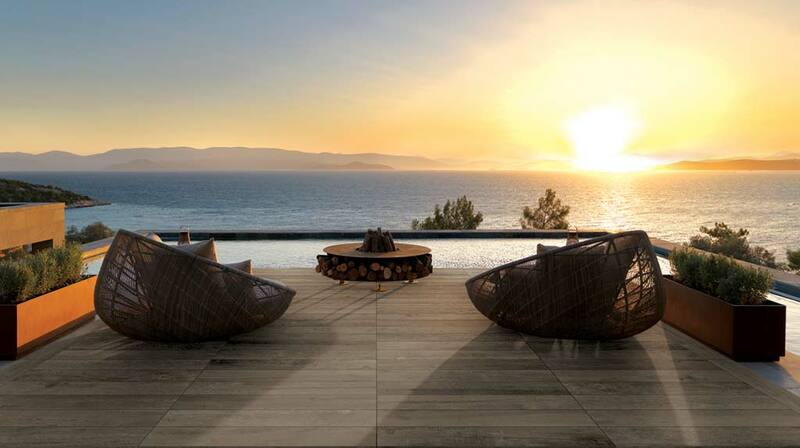 DeckWay, which is our unique wood look plank style paver designed for elevated decking measures 94″ x 12″. Our porcelain pavers are available in a very broad range of colors and styles which includes pavers that look like wood, stone, concrete, and even metallic like finishes resembling zinc and rusted steel. Rustic looking pavers are also available. The full range of colors we currently offer can be seen here. The majority of colors are usually available ex stock, although availability can change at any time. If not in stock, the lead time is typically 5-6 weeks since most of our pavers are imported from Italy. If you don’t see a color you are specifically seeking, then let us know, as our relationships with major Italian producers means we can source an exceptionally wide range of pavers. Very often we can also supply matching interior tiles if you are looking for a seamless transition from indoors to outdoors, although minimum order quantities will normally apply for special orders. 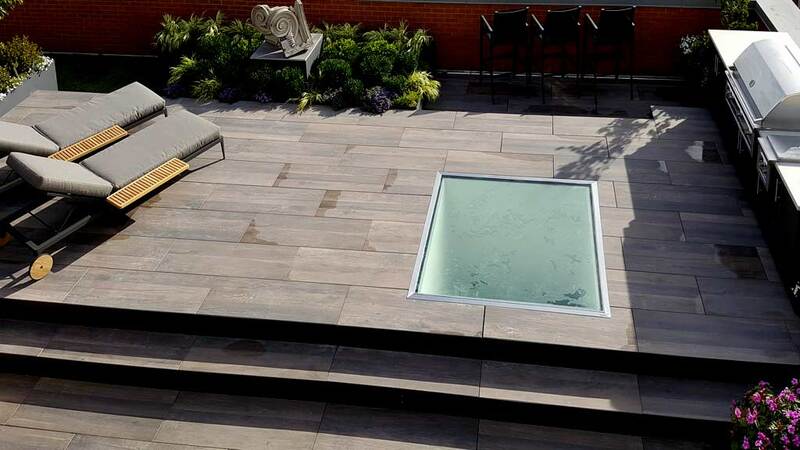 Special shapes such as bullnoses, stair profiles and pool edge accessories can also be supplied on special order. Call for further details.